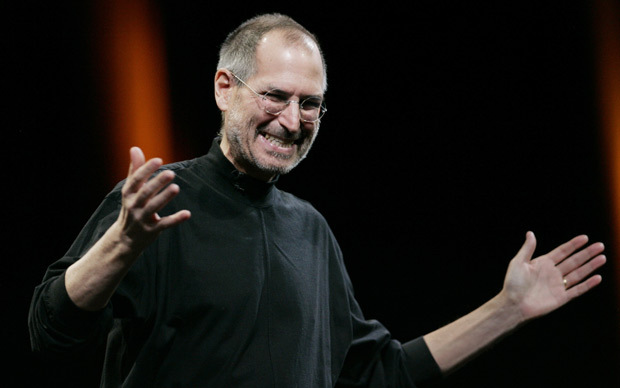 Steve Jobs speaks during the MacWorld Conference in San Francisco in 2008. This phenomenon isn’t merely depressing; it’s outright dangerous. In 2013, a twenty-one-year-old intern at Bank of America Merrill Lynch’s London office died suddenly. He had been working until 6 AM for three consecutive days. In the summer of 2014, a long-haul truck driver overturned his vehicle on the New Jersey Turnpike, severely injuring comedian Tracey Morgan and killing a companion of Morgan’s. The truck driver had not slept in more than twenty-four hours. Less headline-grabbing are the more mundane degradations that overwork and sleep deprivation visit on the body: increased rates of illness, anxiety, depression, even coronary heart disease. All of these instances — from sudden, untimely deaths to worn-out immune systems unable to fend off another cold — are the consequences of the extent to which we’ve allowed work to dominate our lives. Outside the pantheon of high-earning super-workers, everyone is getting less sleep and working longer hours. In industries from medicine to long-haul trucking, grinding schedules that colonize ever more of our waking (and sleeping) hours are a point of pride. This is the case despite the fact that studies continually show that overwork is counterproductive. There are numerous reasons for the disappearance of the forty-hour workweek, but journalist Sara Robinson singles out work cultures that promote worker passion as one of them. She sees this culture taking root first in the defense and then in the tech industries in late twentieth-century California. Passion as measured by hours has put the workweek on a course of runaway inflation, to the point at which people are actually shortening their lives and endangering others — sometimes in sudden, tragic form — in pursuit of an ever-elusive ideal of capitalistic individualism. Why do we allow ourselves to continue like this? If, according to the “Do What You Love” ethic, the pleasure of work derives from the very act of production, what are workers doing during all of those surplus hours when they are not, well, producing or producing only poorly? Why are salaried workers lingering in the office after their work is done or when they are beyond the point of meaningful production, only making themselves less effective in the long term? The answer clearly has nothing to do with economic rationality and everything to do with ideology. Although simple Excel charts may present the flimsiest guise of empirical, objective data about workers’ supposed passion, the truth is that passion doesn’t equal hours spent in the office, nor does it necessitate burning oneself out. Passion is all too often a cover for overwork cloaked in the rhetoric of self-fulfillment. The falsity of passion-as-hours logic is that, quite simply, it produces shoddy work, which is not what someone who is ostensibly passionate about his or her work would allow. Emphasizing passion as a value in employees diminishes other potential — seemingly obvious — attitudes toward work that have more to bear on the quality of the work itself, things like competence and good faith. And when a worker has internalized a DWYL ethic, it hardly seems like a decision at all. Excerpted from Do What You Love: And Other Lies About Success and Happiness . Reprinted by arrangement with Regan Arts. Copyright © Miya Tokumitsu, 2015.